Instrument component failures due to salt spray corrosion can shut down critical systems and increase operational cost. Inert and corrosion resistant coatings like Dursan® extend component life and rust protection in extreme heat and salt environments, preventing seawater corrosion. learn how our coatings protect your products. 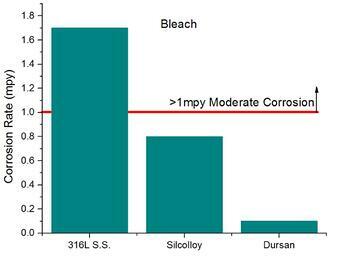 ASTM G85 salt spray exposure demonstrates Dursan's corrosion resistance. Coated and uncoated 316L stainless steel coupons were exposed to concentrated salt spray for 4000 hours. The uncoated coupons show extreme stainless steel corrosion which can impact sensor or instrumentation system performance. 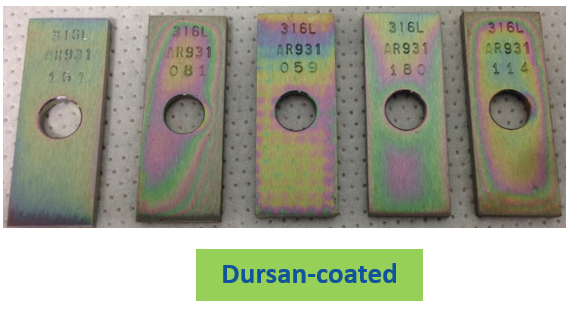 The Dursan® coated coupons show no corrosion, demonstrating that Dursan coated surfaces will continue to perform under extreme marine seawater corrosion environments. Want to lean more about SilcoTek® coatings? Read our E-Book, or read our case study. Near shore and offshore platforms may be subject to local and federal air emissions. 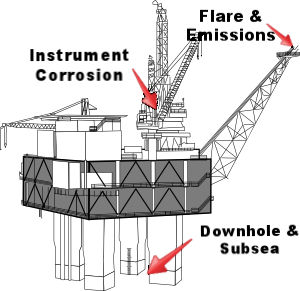 Source emissions monitoring of flares, stacks and exhaust/vents contain VOC, sulfurs, NOx and other regulated pollutants. 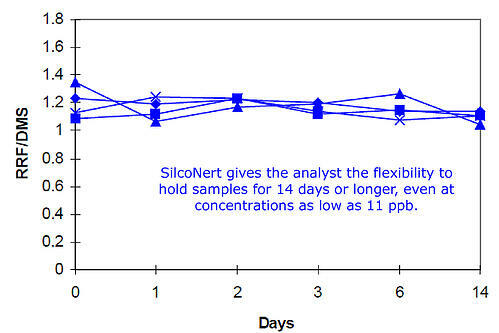 Silcotek coatings like Dursan® and SilcoNert® improve the reliability and accuracy of emission monitors by preventing pollutants from sticking or adsorbing to stainless steel sample flow path surfaces. 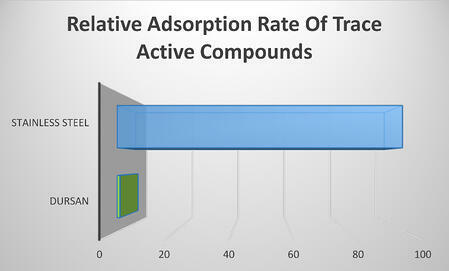 SilcoNert® coated flow path surfaces remain stable for days without loss or degradation of sample quality. 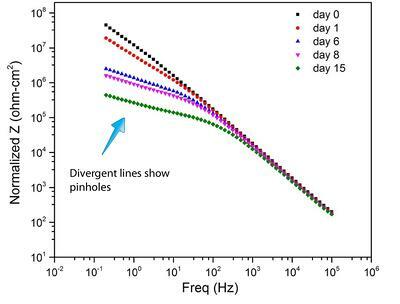 Downhole and subsea tools must maintain high tolerances while remaining durable and inert under extreme stress. SilcoTek coatings offer corrosion resistant, chemically inert coatings that can withstand extreme pressure and stress associated with deep well and subsea operations. Dursan® and other SilcoTek® coatings improve corrosion resistance of stainless steel and high performance alloys by 10x or more. 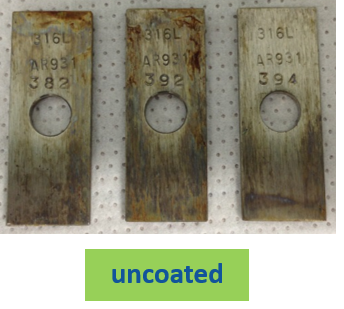 ASTM G31 testing demonstrates SilcoTek coating durability in extreme corrosive environments. Watch our video and see how SilcoTek coatings protect your products from corrosion. Precise well assessment is critical to the success of a drilling project. SilcoNert® and Dursan® coated tool surfaces prevent loss or adsorption of active well products like H2S, giving precise results from wireline studies of well conditions. Seawater quickly damages stainless steel ballast filters, requiring ships to utilize costly exotic alloy filters in order to prevent filtration system failure. 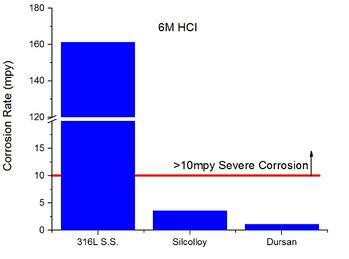 SilcoTek® coatings offer super alloy corrosion performance at a fraction of the cost while increasing the lifetime of the filter. 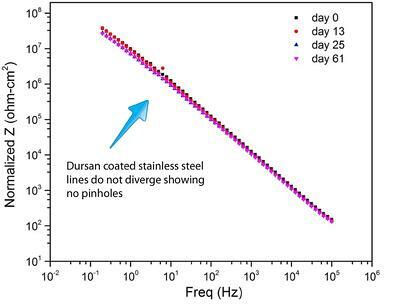 Dursan® coating (right) shows excellent dielectric stability in salt water after 60 days, providing an effective corrosion barrier on the substrate. Uncoated stainless steel shows significant pinholes. Fluid handling systems and controls are vital to the performance and safety of ship and platform systems. Corrosion of components can risk system failure and increase maintenance cost. SilcoTek® coatings reduce maintenance and extend the life of fittings, pump and valve components. 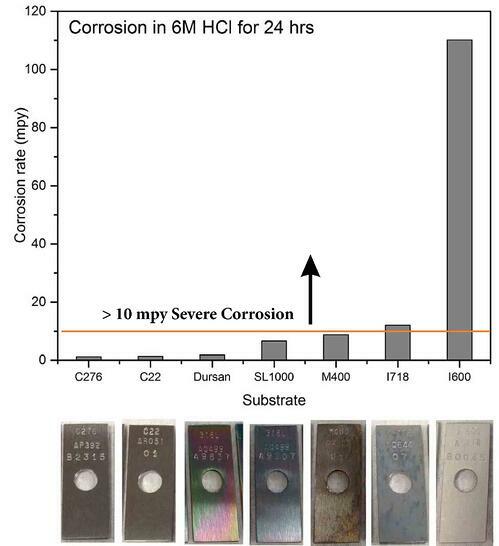 Dursan® compares favorably to super alloys in accelerated corrosion testing (below). SilcoTek coatings improve material performance while significantly reducing cost.